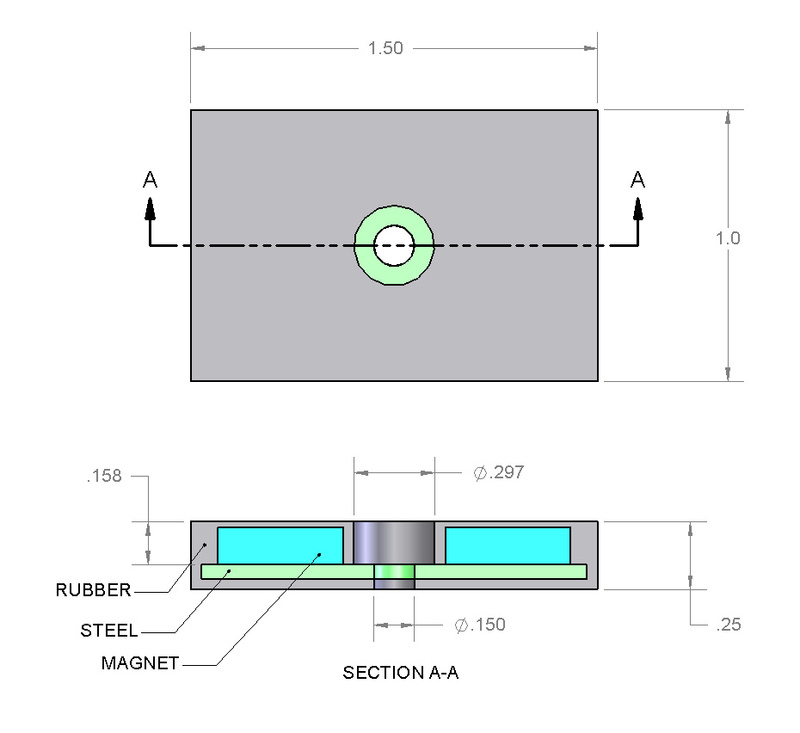 This silicone rubber coated mounting magnet is another new, water resistant design available exclusively at K&J Magnetics. It allows for easy mounting with a common screw. The best feature of these magnets is their high-friction silicone rubber coating. 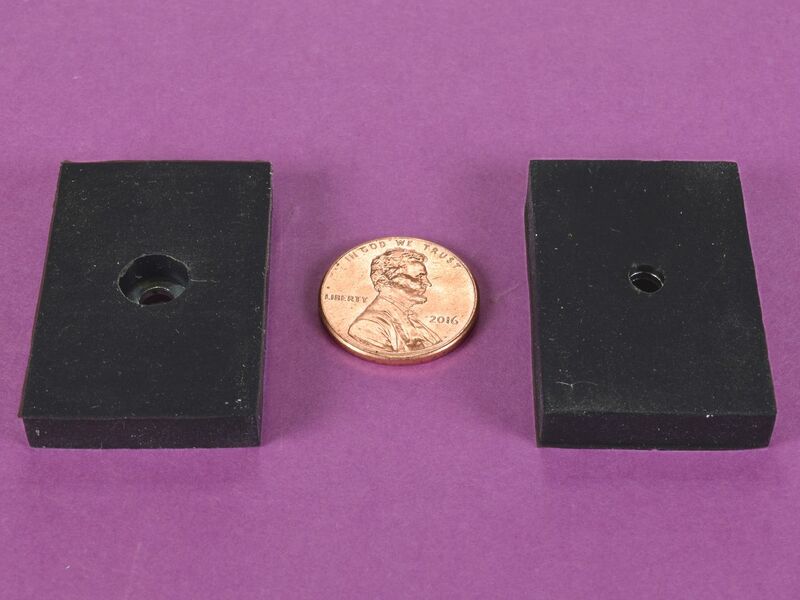 When mounting objects to a vertical surface (i.e., a steel wall), these magnets are great for holding up objects without excessive or expensive magnetic strength. These magnets are water resistant, but not strictly waterproof. The zinc plated magnets are encased in rubber, but a small area of steel is exposed. For more rust resistance, consider caulking the hole and your screw after installation.